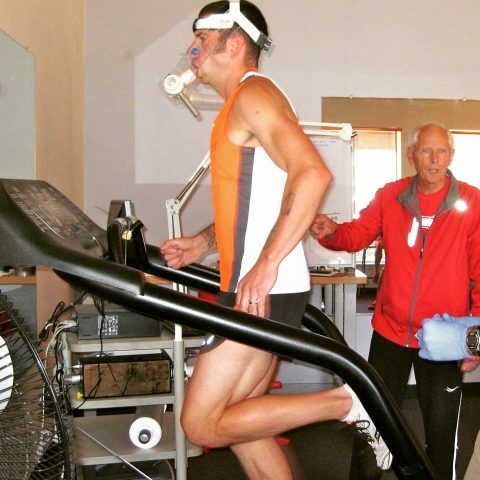 Treadmill Running, Part I – How Boring | Run S.M.A.R.T. I’ve also coached some inmates at a state prison where they held an annual marathon in the yard on a 1-mile loop that changed surfaces five times each loop. One of the inmates averaged 40-miles a week in the yard. A runner I coached by email a few years back ran to and from work each day in New York City. He would sometimes get a ride home if the weather was bad, so to make up for missing his run he would run an hour and a half in his apartment! Another runner, in his 70s, ran over 100-miles-a-week for 14 consecutive weeks, and it was all done between 2:00 and 5:00 AM. Does treadmill (TM) running still sound like the most boring experience a runner could be subjected to? Let me offer a few more instances when TM running might not be such a bad idea. How about running in Phoenix in July, Minnesota (or Syracuse, NY) in December, January, February, March, etc? How about Miami, Florida in August? If anyone should give treadmill running recognition, competing on a treadmill for that matter, it should be the International Olympic Committee. What a media even that would be – the top marathon racers in the world all in a big gymnasium on their own treadmill, facing each other. The gun goes off and the winner is the athlete who covers 42,195 meters in the shortest amount of time. Participants are free to eat and drink at will, hop off to go to the bathroom, and even check their body weight now and then to keep an eye on water loss. They are free to change the speed of the treadmill as often as they wish, but no tinkering with heat and humidity, only the TV personnel are free to do that, and their minimums are 65% humidity and 25 degrees Celsius. Actually, I have more treadmill competition ideas, and they can be made to last as long or as short as you may wish. One I have always thought would be interesting to see would be to get a bunch of the top distance runners (1500, steeplechase, 3k, 5k, 10k champions) in a single room. Then, put each of them on a treadmill and set the mills to 20% grade – 7 MPH and see who lasts the longest before having to get off, or run off the back of the mill. What about non-media treadmill running, is there a place for that? I think it can be very useful, not only on days of adverse weather, but even on nice days when there is a need for control, or to help manage injuries. There is a lot you can do on a TM with minimal boredom. One of the biggest advantages of TM running is that you can very accurately control intensity of exercise. Over ground, intensity can only be controlled by varying speed. On the treadmill, practically unlimited combinations of speed and grade can be employed to subject the runner to the desired intensity of exercise. You can run at a pretty slow pace, but with the right grade set on the treadmill, the task can be made equal to just about any speed you want. Possibly one disadvantage of TM running is not being able to run along with a partner or group of runners (unless you are in a room with numerous treadmills, of course). 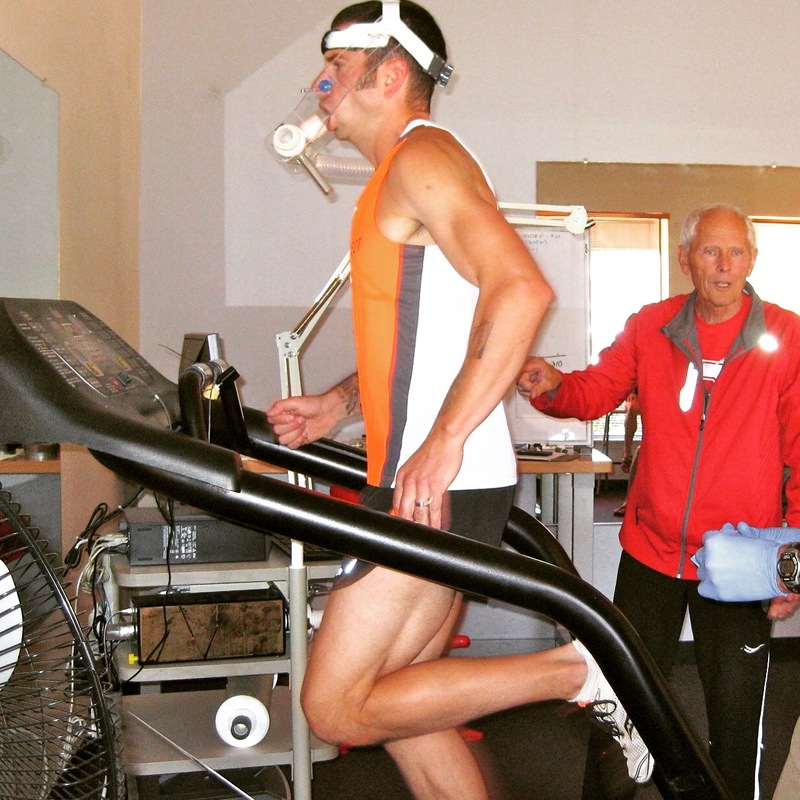 Workouts in which two runners share the same treadmill are very good, however. Some people, me included, like to be by themselves on runs and treadmills can certainly provide this atmosphere. For some years, I worked full-time in a lab and I would go in an hour before anyone else, turn off the lights and turn on the treadmill. I’d run for an hour before I had to see anyone else (something I learned from those guys in Michigan I guess. My biggest worry was that someone else would show up and strike up a conversation, or turn on the lights). No matter how I ran, how I breathed or carried my arms or legs, I always knew the one thing I didn’t have to worry about was how fast I was going. When my time was up I knew exactly how far I had run; what could be simpler, or more relaxing than that? One final story about an athlete I coached many years ago. He had a marathon PR of 2:12+. He moved to a city where he did not particularly like going on long runs, so he did a weekly 20-mile run on his treadmill. He followed that routine with a 2:09+ marathon at New York City. My guess is that the main advantage he had in New York was getting to run just a little over two hours outside, instead of just staring at a wall or out a window. This must have made the marathon feel like a breeze. You never know what type of training pays off. Don’t get me wrong, TM running, or training for serious folks, by no means has to be limited to steady running at a pace where the stress level is conducive to falling asleep, or the clock saying 20-minutes have passed when you were sure it had not been more than 10. If you are going to give up the freedom of an outside run, at least rid yourself of carrying excess baggage. Not even a shirt (or shorts for that matter) is necessary if you are on your own treadmill at home. Treadmill Running, Part II – Types Of Training, will follow next week. More info about Dr. Jack Daniels online training here. Customize a training plan for your next race from legendary coach Daniels here.